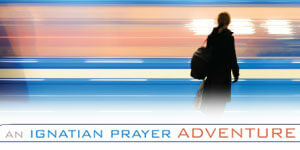 Ignatian prayer places great emphasis on the power of the imagination to deepen our relationship with God. One of the principal forms of prayer in the Spiritual Exercises is imaginative reflection on scenes from the Gospels. The praying retreatant becomes a participant in the event—the healing of the blind man Bartimaeus, for example. The retreatant feels the heat of the sun, smells the passing animals, hears the noise of the crowd. Above all, the retreatant watches and hears Jesus as he approaches the man, heals him, and disputes with the angry Pharisees. This kind of imaginative prayer seeks the truth of the heart rather than the truth of facts. The person who prays this way notices the feelings and desires inspired by an encounter with Jesus. To deepen the encounter, Ignatius recommends savoring the experience, returning to it again and again to relish the details.